High-quality tissue cutting scissors R.V.S Very sharp Golden blade. 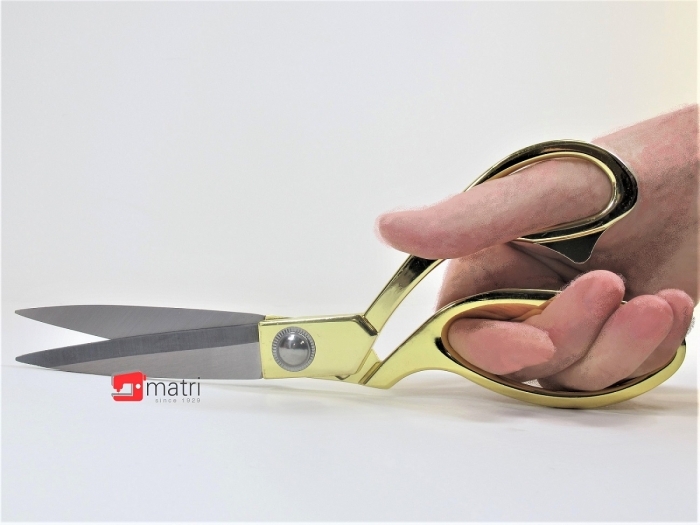 Beautiful scissors, handy to use, cut fine, excellent quality at a very good price! Knife edge cuts multiple layers. A double-plated chrome-over-nickel blade finish. providing a secure and comfortable grip on your cutting work. The Bent handle design holds fabric flat, so that your fabric will not move. The scissors are very handy in use and able to cut thinly through thin and thick fabrics.